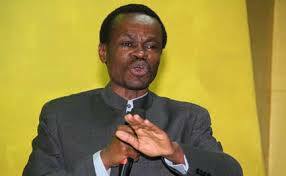 Patrick Loch Otieno Lumumba popularly referred to as PLO Lumumba is well known for his mastery of the queen’s language which is unmatched. 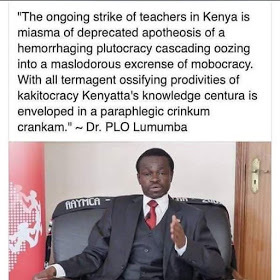 He is indeed the best orator Kenya ever had. Recently, the soft spoken speaker decided to throw his two cents at the teachers strike and you won’t believe what he said. Maybe someone is trying to use his name for his own benefit or someone is trying to fit his shoe.